Beach Sweep collects 20 lbs. of Trash from Folly Beach! The Collegiate Recovery Program hosted a Beach Sweep and Bowling event for students in the program on Feb. 16th, 2019. Some 20 lbs of trash was collected on Folly Beach and then the crew enjoyed bowling at Ashley Lanes. 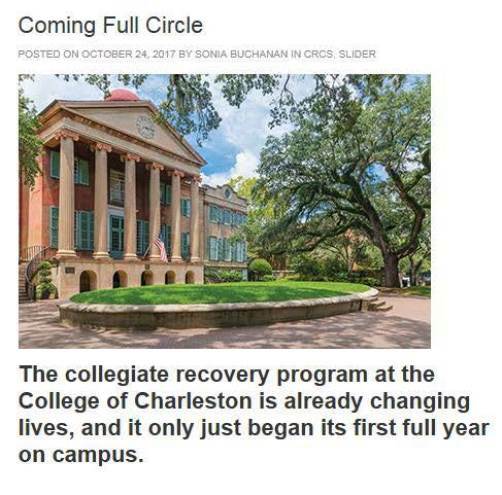 College of Charleston Magazine highlights our Collegiate Recovery Program. 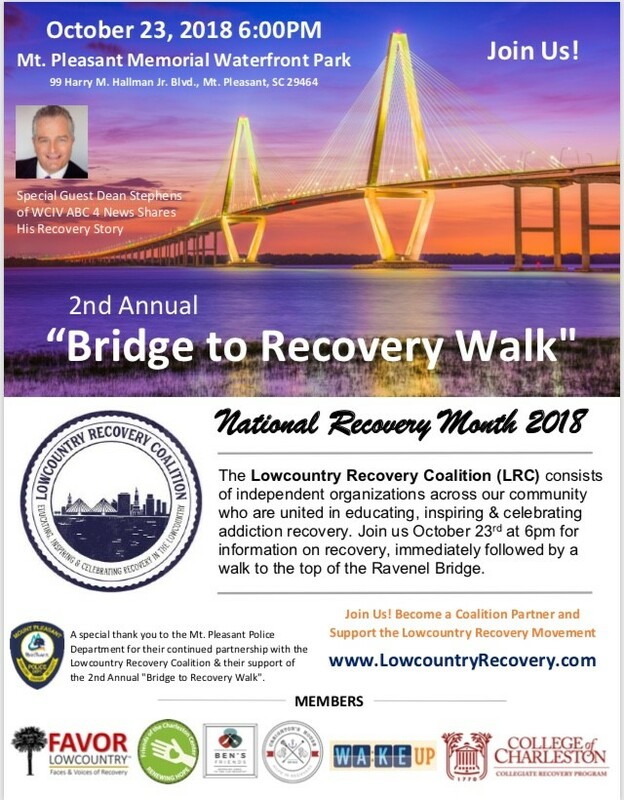 "Bridge to Recovery" Walk, September 28, 2017 6pm, Mt. Pleasant Waterfront Park. This is a Community Effort! This is a community response to the addiction crisis across our community. The Post and Courier, © 2016 Starting a sobriety college program at CofC is harder than biking across U.S.
WCIV © 2016 CofC to launch student-organized drug recovery program. Excerpt below. 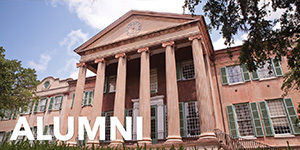 CHARLESTON, S.C. (WCIV) — College of Charleston President Glenn McConnell issued a statement Thursday showing the university's stance on drug use, drug-related activity and crime in general. 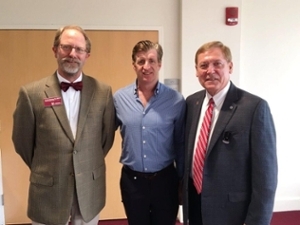 In the statement, McConnell shares the university's plan to launch a Collegiate Recovery Program, which he describes as a director-led, student-organized, support-based program for students in recovery from drug and/or alcohol addiction. "There is a lot of experimenting done in college and people might try it a couple of times and then they're like 'this is not the path I wanted to go down'," Junior Haley Womack said Thursday in reaction to President McConnell's statement. McConnell says he has been working closely with the campus police chief, Charleston Mayor John Tecklenburg and Charleston Police Chief Greg Mullen. He said there is a shared commitment to ensuring the safety and health of all downtown residents and visitors. 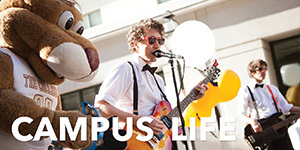 A Collegiate Recovery Program supports students in recovery from drug and/or alcohol addiction as they navigate the academic, personal, and social environments of the campus. 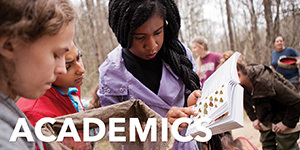 Established programs include peer and professional support, programming, outreach, and educational efforts. Jeri Cabot along with students and interested community members have been crafting this program through the support of a capacity building grant. 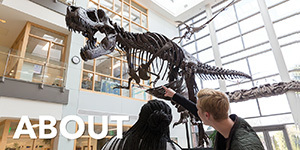 Additionally, Public Health faculty members, Andrea DeMaria and Christy Kollath-Cattano, are playing a critical role conducting research for our program. 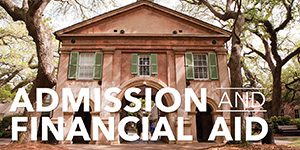 On March 23, 2016 The College of Charleston welcomed Barbara Dwyer to campus. Ms. Dwyer established the “Cougars in Recovery” during Fall, 2013 at the University of Houston. She created this program through philanthropic support and is a known leader in the Collegiate Recovery community. 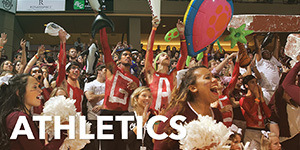 "A successful program relies on a college community who understands the program and also campus and community partners who support the program. Each of you are needed partners for our success!" Ms. Dwyer provided information on creating a recovery program and sharing her advice. You are invited to read "The Ultimate Volunteer" an interview with Ms. Dwyer posted June 23, 2014 in Recovery Campus.